WordPress login – where to find it? That should show you the default WordPress login page where you are asked for your Username and Password. Please keep your WordPress site secure by using a safe password. Just search for password generator. There are online generators that will create really safe, completely random passwords! Here is one I have used. 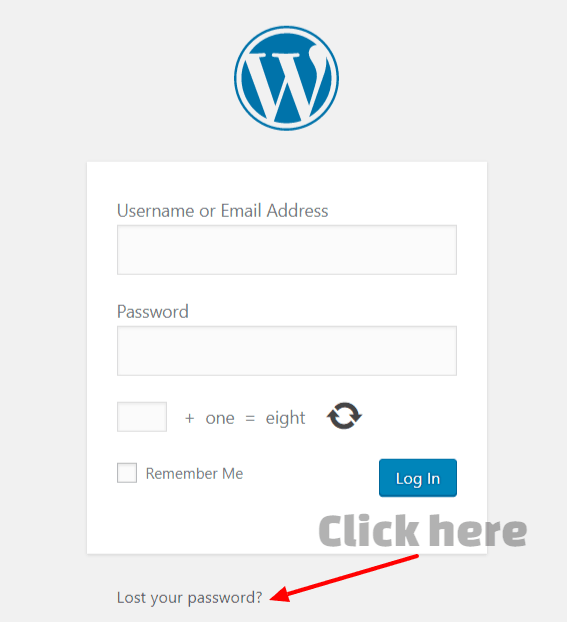 WordPress login – how to reset your password? If you have forgotten your password go to the login page. Below the login box you will see a link labelled “Lost your password?”. If you click on there you are taken to the default password reset page. There you will have to put in the email address you used for your admin account. Your website will then send an email to that email address with a link in it to “reset your password”. This should drop you onto a page on your website where you are asked to put in your NEW password, twice! That’s it, once you have saved that, you can login with your new password. So what do I do if I am not getting the password reset email? If you are not getting the password reset email, you will have to hack in via the database. Basically you have to find your admin account entry in the “users” table of your site’s database. Then change the “hashed” password to something you know. Then you login to the site using this password. Just be sure to set the password to something secure as soon as you are in your site!